Miche Stars & Stripes Demi Shell is like Fireworks. Parades. Hot dogs. Apple Pie. Wear the spirit of Red, White and Blue on your arm for patriotic holidays or anytime you want to celebrate America. 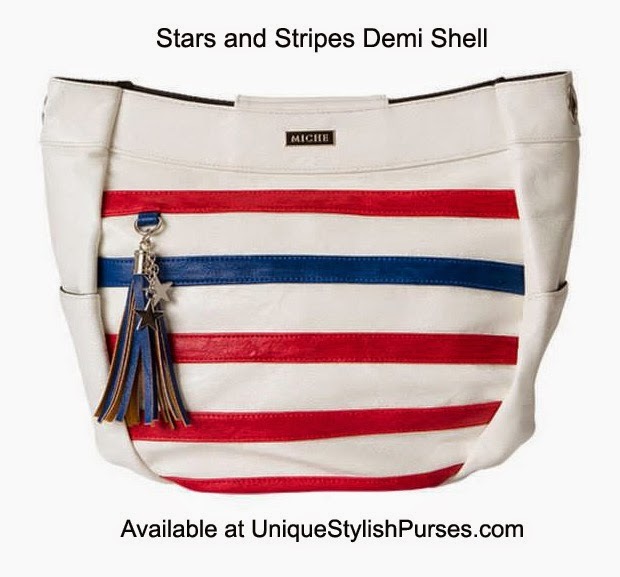 The enchanting Stars & Stripes for Demi Miche bags is sure to turn heads. White faux leather background sports appliquéd red and blue stripes. Blue tassel with a pair of star charms is the perfect grand finale. Silver hardware and side pockets, with a rectangular bottom.